Expertise from the automotive sector is helping to make cycling safer and more comfortable. The mechatronics specialist Brose is presenting some of its ideas at the 66th International Motor Show. The family-owned company is exhibiting an e-bike design study: the so-called “Visionsbike” was a result of collaboration with Murat Günak’s prestigious design team. It demonstrates how completely new concepts using intelligent drive and adjustment systems can be brought to the bike market. Brose has already succeeded in transferring development and production expertise from the automotive industry to the bicycle sector with its e-bike drive. The supplier sees great potential in the increasing electrification of the bicycle. “The Visionsbike isn’t a vision of something that will happen in the distant future, but rather an application-oriented study. We wish to show what kind of possibilities the further use of electric motors in the bicycle can offer,” explains Christoph Bantle, General Manager Brose Antriebstechnik. The mechatronics specialist wants to use the design study to encourage bicycle manufacturers to jointly develop new safety and comfort functions. A new kind of construction has been used for the Visionsbike’s handlebars. In the park position, a spindle drive lowers two independent handlebar elements on the left and right-hand side into the tube of the bicycle fork. This enables space-saving storage of the bike in narrow basement rooms or compact rental stations. This also makes it easier to transport the bicycle. In driving mode, the electric drive raises the handlebar to a higher position and moves it nearer to the cyclist in order to ensure an ergonomically correct cycling position. The electrification of the saddle, which is height and horizontally-adjustable, provides further comfort. If the bike is parked, the saddle slides back sleekly into the rear part of the frame. By means of an integrated rubber clamp, the lowerable saddle jams the back wheel providing protection against theft. This mode also makes it easier to get on the bike. When the cyclist wants to set off again, a touch of the button suffices to position the saddle. Individual settings of the handlebars and the saddle can be saved and accessed at any time – just like seat systems in cars. If required, specific cycling profiles can be programmed, for example, a comfortable ride for a city tour and sporty for outdoor terrain. The flexibly adjustable Brose e-bike drive ensures an optimal cycling experience. It is completely integrated in the chain stay. Using these components, the company demonstrates innovative production technologies: the chain stay has been produced as a module in a 3D printing process and assembled as such, thus providing new bike design possibilities in addition to weight savings. Drawing on its many years of experience as a market leader in electric motors in the automotive industry, Brose offers a mid-motor for electric bikes, whose hallmarks include its excellent quality and maximum flexibility. Based on its steering motor for cars, which has been produced million fold, Brose engineers have developed a new kind of drive concept for electric bikes that can be completely integrated into the bicycle frame. Cycling properties remain unchanged; the pedal assist is nearly silent and vibration-free. 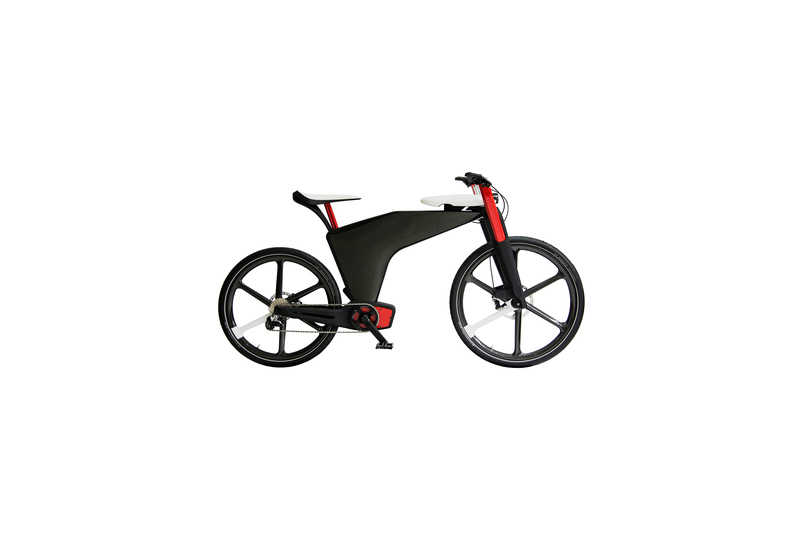 Brose is the only manufacturer to offer an e-bike mid-motor “Made in Germany”.